µWave Wizard™ features a ribbon type User Interface (UI), offering a user friendly desktop environment with the familiar appearance and convenience of office software. Intuitive icon type shortcuts and editors, distributed across the ribbons, help understand each task more quickly. Tabs for Project, Circuit, Design, Optimizer, Tools and Plots are easily accessible. The Project Tree View provides all information about the project such as frequency settings, variables, circuits including sub-circuits and default settings like units, accuracy, symmetries and material properties. The UI features separate identification of variables belonging to a selected circuit. 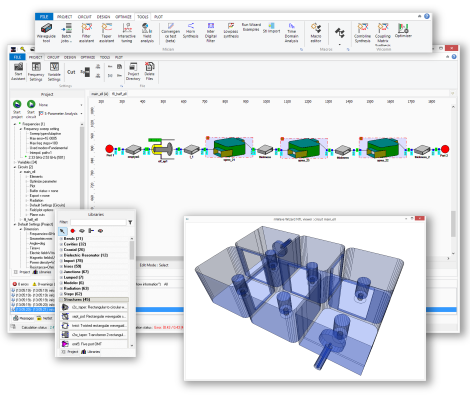 µWave Wizard's™ schematic editor allows the creation of three-dimensional structures based on key building blocks. 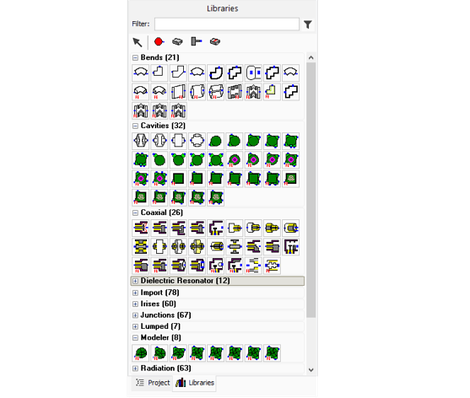 µWave Wizard™ contains predefined full-wave parameterized building blocks and the number of elements is continuously growing (so far, more than 450 elements). The modeler uses special modeler elements. These elements are managed in the same manner like the predefined elements from the libraries and are connected multimodal at their ports with other elements. The user can specify geometries of a model with variables. These variables appear as parameters in the µWave Wizard™ element editor and can be part of an optimization. 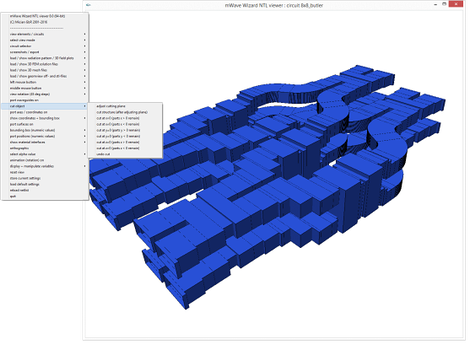 µWave Wizard's™ 3D viewer displays schematics, mesh, field and pattern plot files. There are no limitations regarding model size and complexity. It supports the design of the most complex components, regardless of the individual coordinate systems of their key building blocks. The 3D viewer shows the interconnection of elements or sub-circuits. Misalignments and erroneous connections will be indicated within the 3D-plot window. 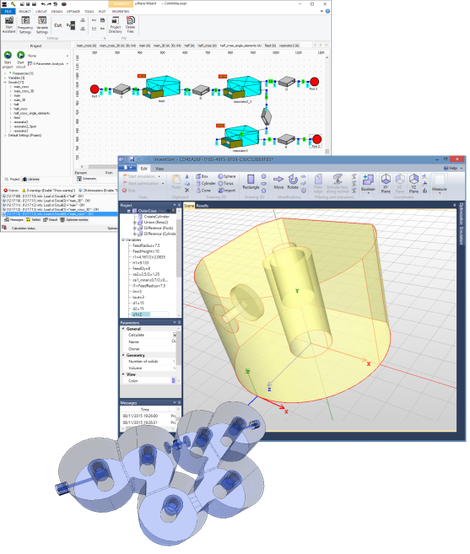 Export of CAD files in STL, STEP, IGES or DXF format enable portability between graphical design platforms and can also be used for controlling CNC tools. The macro editor contains predefined VBA macros for the COM interface, i.e. for generating taper structures, automatic connection and convergence analysis. Using the built-in VBA editor, the set of macros can be easily extended, i.e. 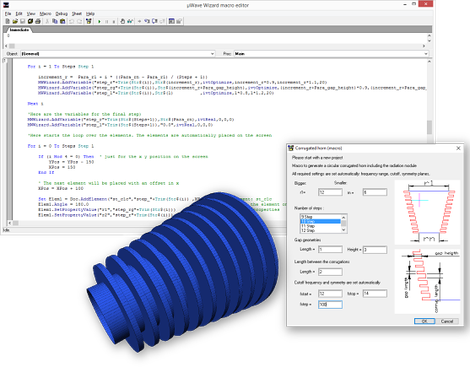 to create links to external programs such as MATLAB® or Excel®.